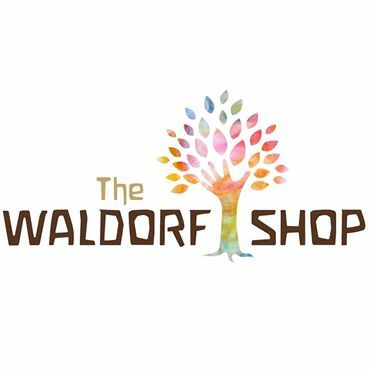 This year marks the 13th anniversary of the Taproot Teacher Training for Waldorf Homeschoolers. 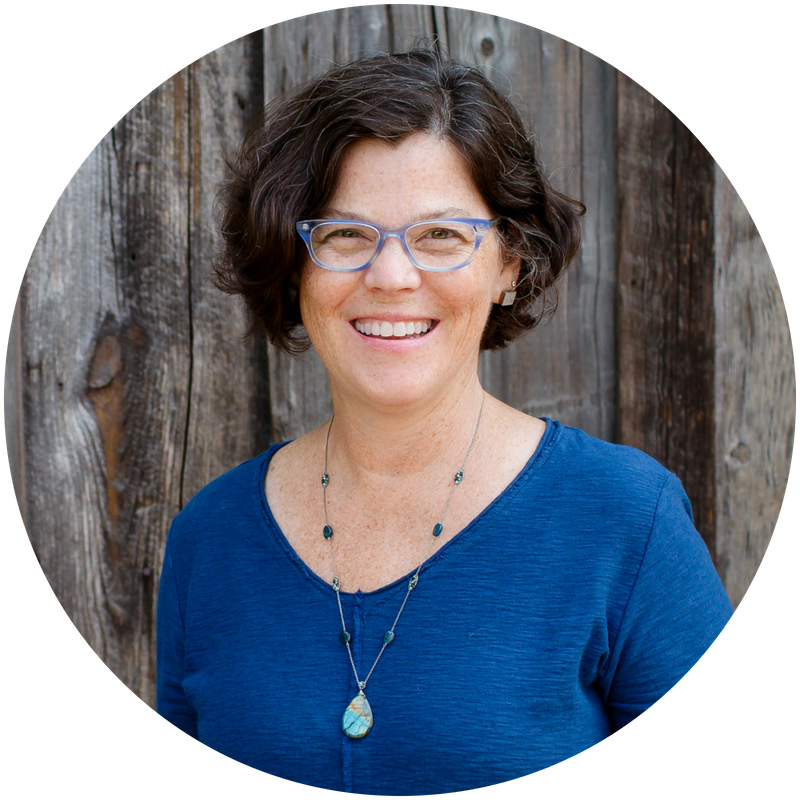 I asked Barbara Dewey, the founder of Taproot, to share the story of how the Taproot Teacher Training got started. Taproot 2019 will take place August 1-4. 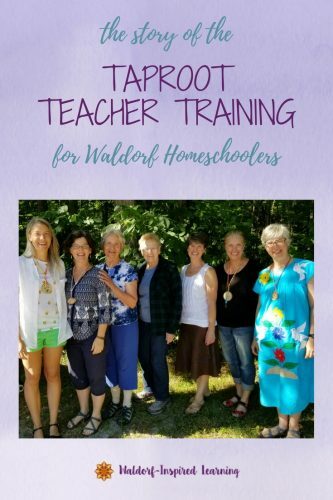 Ten years ago, a spirited group of parents gathered in central Ohio at Barbara Dewey’s Taproot farm for the first ever Taproot Teacher Training for Waldorf Homeschoolers. 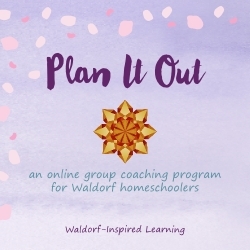 At the end of that long weekend in August, what they took away was a feeling of confidence that they could bring the wonderful Waldorf method to their children at home. Plus, they had spent the summer weekend on a farm among the rolling hills of central Ohio, a weekend filled with morning hikes, feeding chickens, and so much laughter. They had met comrades on a similar journey. Here’s the story of the Taproot Teacher Training. 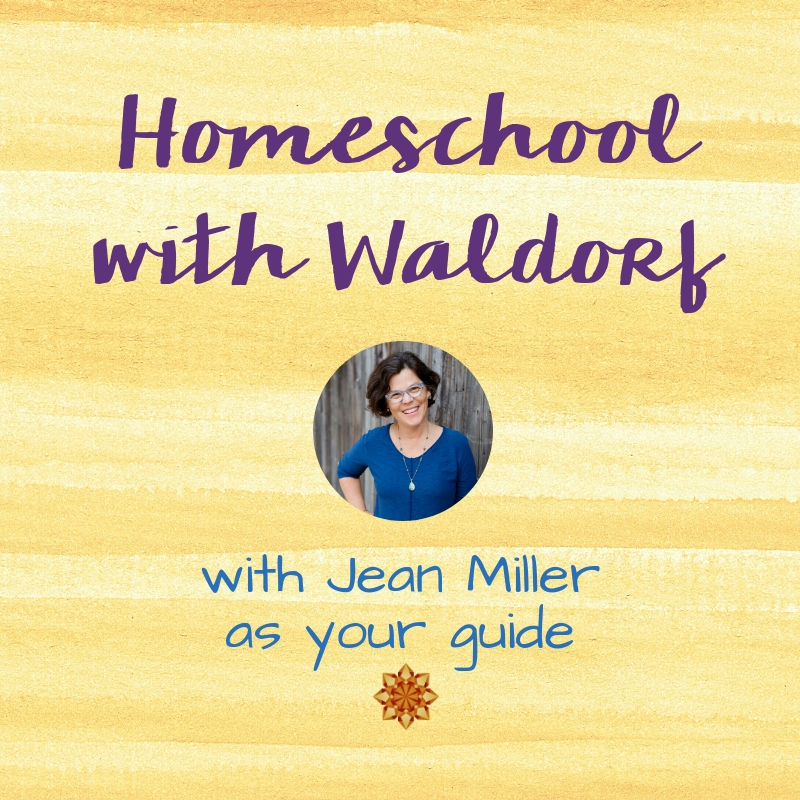 Waldorf weekends for homeschooling parents developed out of a need expressed by many parents who attended grades’ trainings at various Anthroposophical teacher training institutes all over the United States. Trainings aimed at classroom teachers did not meet the needs of homeschooling parents for many reasons: their particular questions did not get answered, and parents have a much smaller “class size” (2 or 3 or 5 children of various ages versus the 25-35 children all the same age in a classroom). The parent as teacher is a very different role than the teacher in a classroom. Many of the activities and learnings that can feel contrived in a classroom can be done quite naturally in a home. 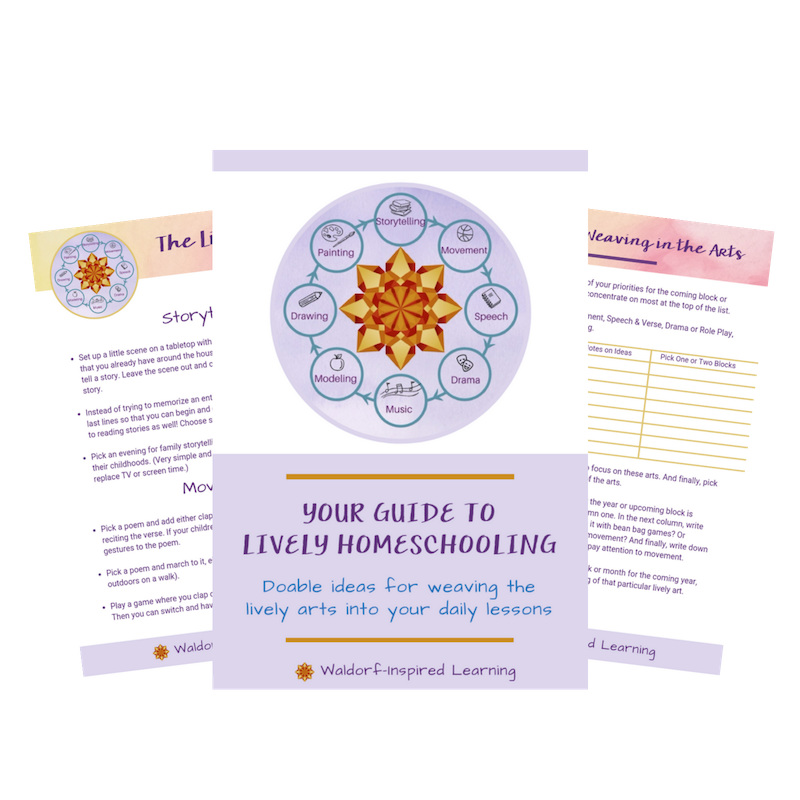 These at-home, natural, teachable moments, and how to utilize them, are at the heart of good homeschooling. Teacher trainings were also expensive, especially when you added hotel stays and dinners out at restaurants to paying tuition. 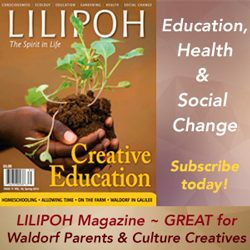 In 2001, Gene Campbell started what became an annual Waldorf homeschooling training for a number of years in Toronto known as Chiron, where people could camp out in the Toronto Waldorf School kindergarten room overnight. Barbara was on the staff of these trainings for several years, having worked with Gene on several other programs at Sunbridge Institute in Spring Valley, NY. About that time, on Barbara’s family farm, two family homes became available for weekend use, in addition to her own home. 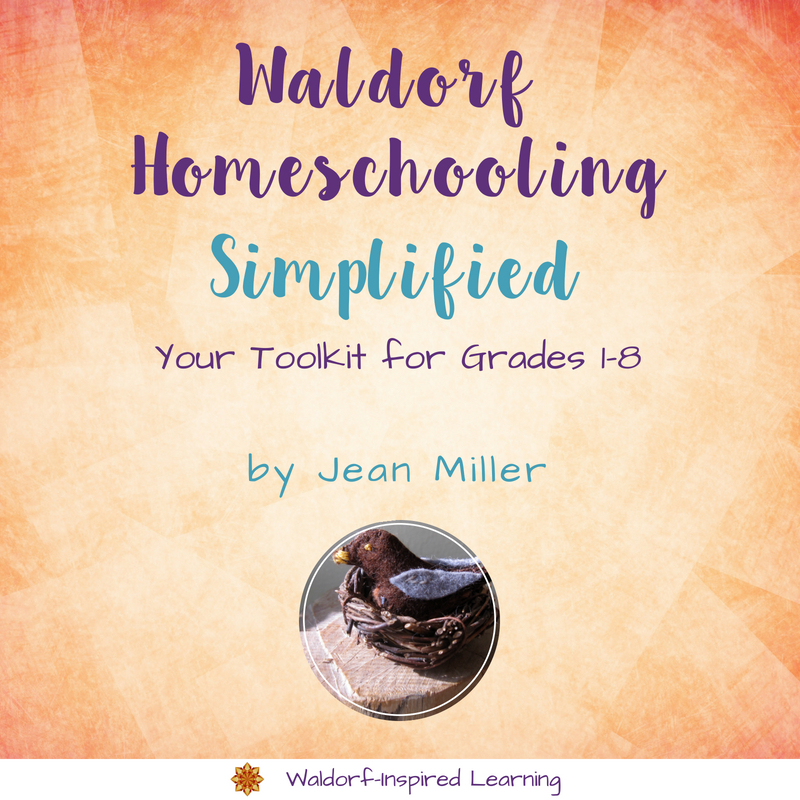 In 2007, Barbara began the Taproot Teacher Training for Waldorf Homeschoolers. She and Gene Campbell traded their talents, Barbara at Toronto and Gene at Taproot, for the first few years. 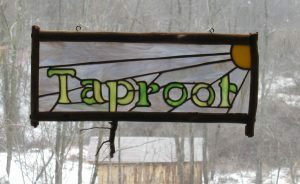 Taproot also hosted family weekends four times a year for seasonal festivals which whole families could attend and stay for the weekend. Attendees were limited to 20 participants for a three-day training. Parents stayed in the farmhouses and barn, or camped on the property. Three meals a day were served, and room and board were included in the tuition cost. A parent could come for the three-day training for not much more than the cost of one night in a hotel! Barbara’s then 16-year-old granddaughter, Robin, was Kitchen Manager, and each participant was asked to do KP for two meals during the weekend, helping to prepare, serve and clean up for simple, nutritious meals. Staff the first year were Barbara, Gene Campbell, Royse Crall, and Roberta Miday Haupt. Royse started as a public school teacher, had taught groups of homeschoolers in Cleveland and become a certified Waldorf teacher, and was by then, teaching at Spring Garden Waldorf School. Roberta was a certified in Waldorf Early Childhood. The Taproot program was well received and well attended that first year. Over the years, Taproot grew and others were added to the staff. 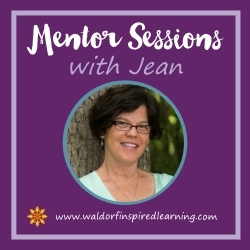 The second year, Jean Miller, an experienced homeschooling Mom and former public school teacher, joined the teaching team. Then came Alison Manzer, another former teacher and experienced homeschooling Mom, and John Quimby, Barbara’s husband, a forest entomologist and retired Director of Forest Health for the Commonwealth of Pennsylvania. Parents have come from as far away as California, Oregon, Washington State, Puerto Rico, British Columbia, and Canada. Most often, it’s Mom who attends but sometimes couples, and a few times, just Dad! Teachers from very small schools with mixed-age groups and parents from homeschooling co-ops have also found the Taproot Training helpful. A few amusing mishaps have occurred over the years, most memorably when Barbara’s dog, Star, got into combat with a skunk and sneaked into all three houses, trying to get away from her horrible smell, which then became the fragrance of the year! And now, there’s a new Taproot chapter. 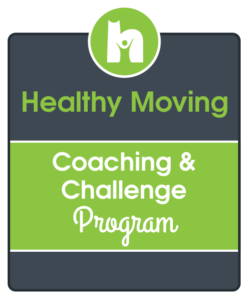 After the training of 2014, Barbara and Jean decided that it was time to find a larger venue where the program could continue to grow and where food and housing could be provided at a reasonable cost. After much searching, the Cuyahoga Valley Environmental Education Center (CVEEC) was chosen, a beautiful campus set in Ohio’s national park. In 2015 and 2016, the Taproot training was held there with great success. And then in 2017, Taproot moved to the Shaw Retreat Center at Camp Asbury in Hiram Ohio, a beautiful summer camp setting. The story of Taproot continues on. Won’t you join us this year? Click here for details: Taproot 2019. Taproot will always hold a special place in my heart. Yes! Taproot tends to open us up in unexpected ways, does it not?! I’d love to link your reflections on your Taproot experience here! It’s been an exciting history, and the history goes on…. Won’t you be a part of it?